Cala Millor is one of the largest resorts on the island of Majorca, and most important of the eastern coast of the island in the county of the Levant. The northern part of the resort belongs to the municipality of Son Servera, while new areas of the southern part (Son Moro and Son Moro Bonavista) are located in the municipality of Sant Llorenç des Cardassar. 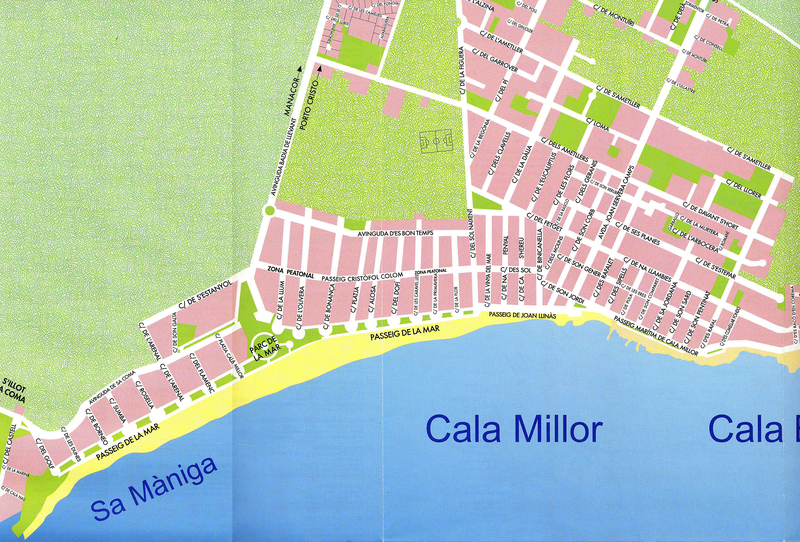 The boundary between the two towns located on the Carrer de Figuera and Carrer de Sol Naixent. Thanks to the good relations of the two towns, it is difficult to distinguish between the two parties, and people can use the institutions of the one or the other city whenever possible. Cala Millor means "the best wedge", probably a foot nose to the neighboring village of Cala Bona, "good hold", which also has no beaches but, she has a real port. 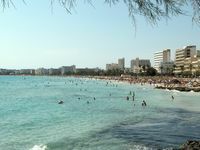 Cala Millor is distant approximately 74 km from the center of the island’s capital, Palma de Mallorca, about 20 km from the largest city in the eastern part of the island, Manacor and 3 km from Son Servera road Ma-4026. The main airport of the island, the Son Sant Joan International Airport is located 68 kilometers west of Cala Millor is about an hour drive from the main road Ma-15. Cala Millor is close to interesting sites: Costa dels Pins, Port of Cala Bona, the towns of Sant Llorenç and Son Servera, with weekly markets, Son Carrió, which lies a few kilometers inland, S’Illot talayotic with his village and Punta de N’Amer with a protected natural area and a watchtower of the seventeenth century. 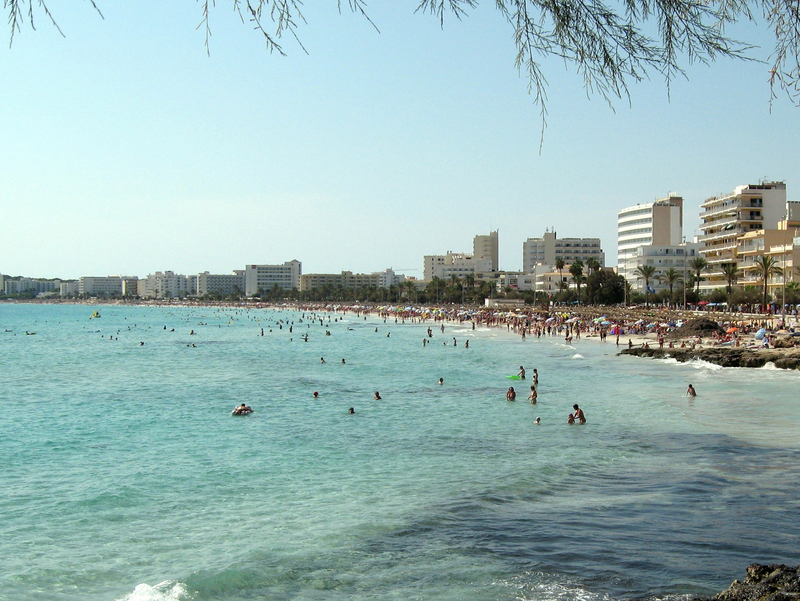 The beach of Cala Millor is a sandy beach with a length of 1 750 m, an average width of 35 m and a low slope of 4%. Cleanliness allowed him to obtain, in 2001, awarded by the European Union Blue Flag. Cala Nau, 200 m long, which forms the southern end of the beach and abuts on the peninsula of Punta de n’Amer. The beach of Cala Millor, on the open sea is a dangerous area for anchoring boats and swimming when the wind blows from the east. 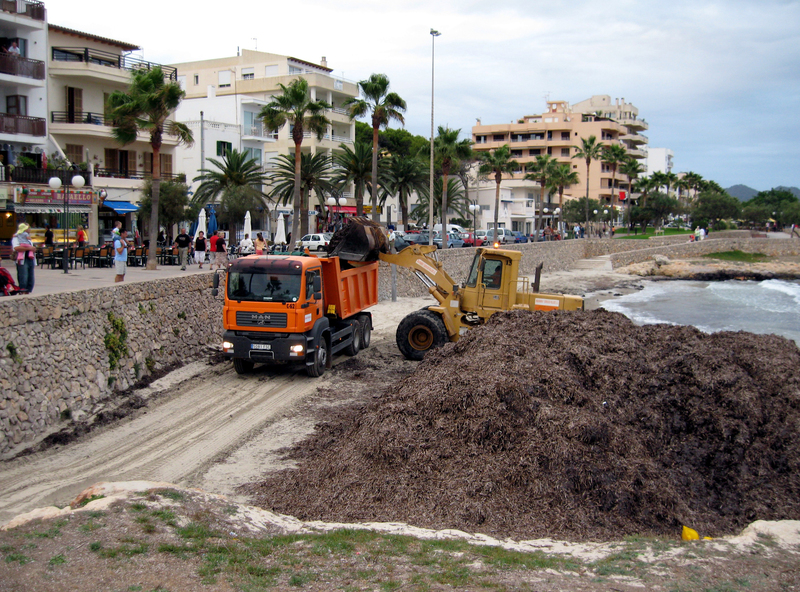 The beach is invaded by sea grass that must be removed regularly for the convenience of tourists, increasing erosion of sand and for this reason we must resort to artificial regeneration of the sand. Behind the beach is a promenade built on ancient dunes. 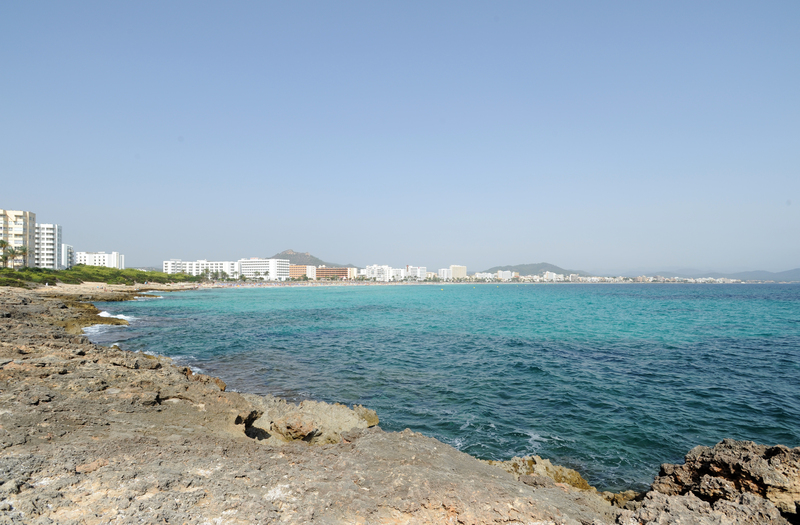 Cala Millor has a very large range of hotels, with more than 60 hotels, representing nearly 30,000 beds. The first hotel, the Eureka, was created in 1933, but the expansion of tourism began in the 1960s with the construction of many hotels.